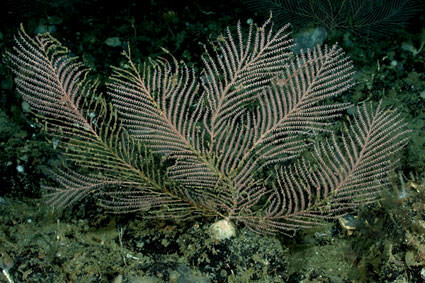 The deep-water sea fan Plumarella pellucida at 150 meter (492 feet) depth in Georgetown Hole, off the coast of Georgia. The genus Plumarella has pharmaceutical properties that may yield new drug discoveries one day. 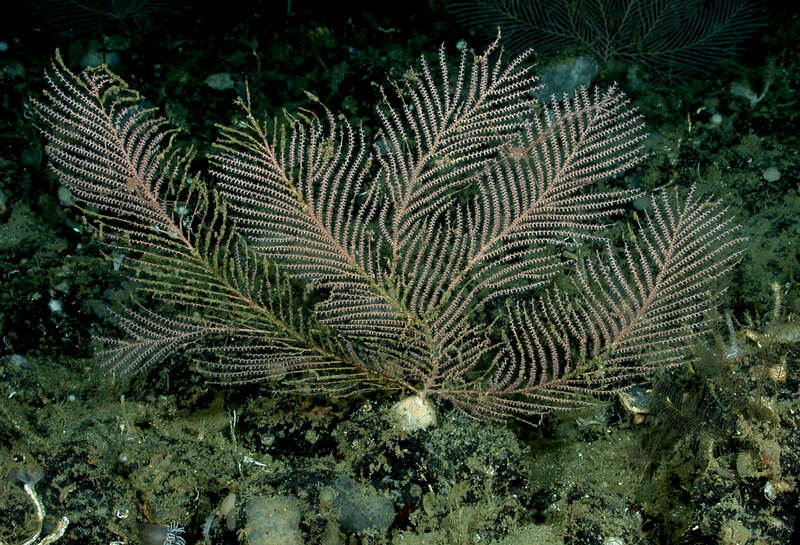 In April 2010, a team of researchers aboard NOAA ship PISCES explored deep coral habitat at a depth of 100-300 meters (361 to 984 feet) off Georgia, east of Gray's Reef National Marine Sanctuary in South Atlantic Bight. The team used a remotely operated vehicle, fisheries acoustics, and a grab sampler to collect corals and sediment. The rugged bottom topography and the coral mounds are attractive features for deep-sea reef fish like wreckfish and blackbelly rosefish. Large barrelfish and red bream also shelter in the rugged bottom.